This film is available on DVD . 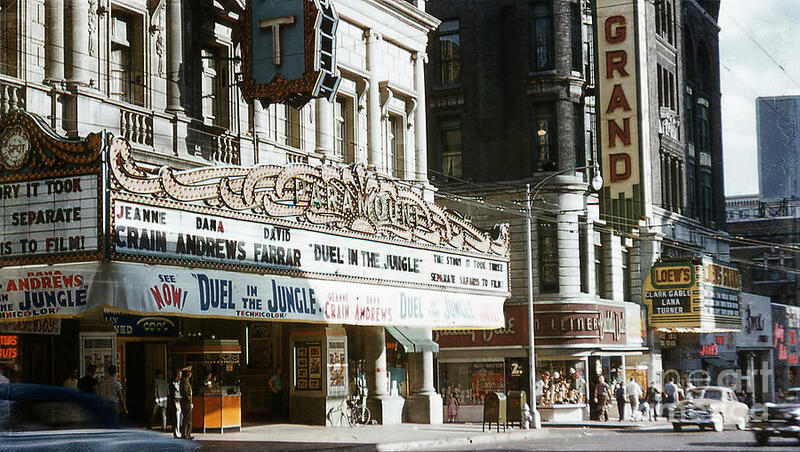 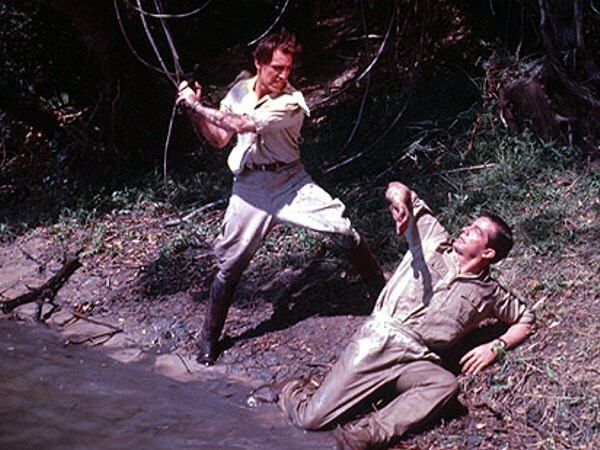 It gave us a look at Africa and the jungles in full Colour - Technicolor – which I have to say looked very good. 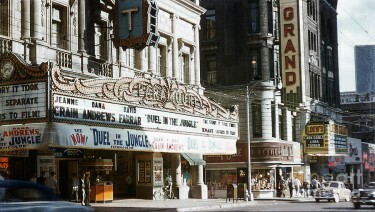 Well it always did at that time. It was a British Made adventure film of its day, much of it filmed in Africa with stock and studio sets of course. 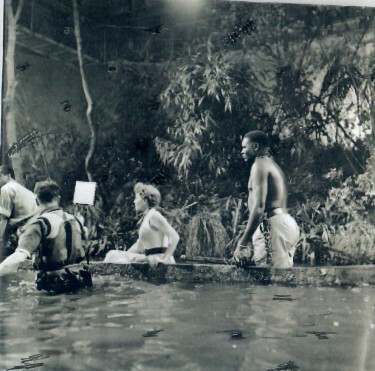 This below is a Studio set cut into location film – but this studio sets fascinates me – done at Elstree. 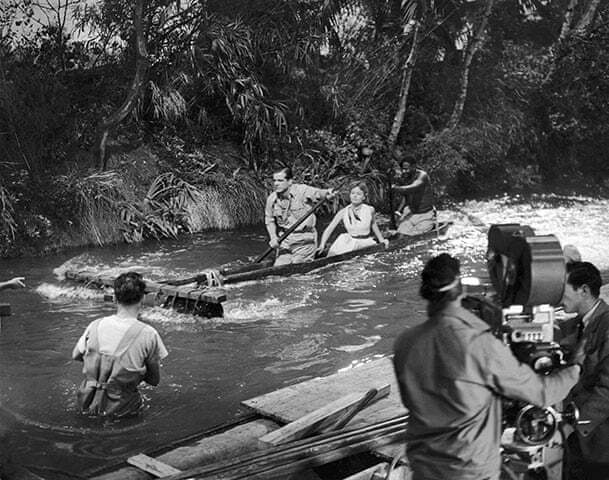 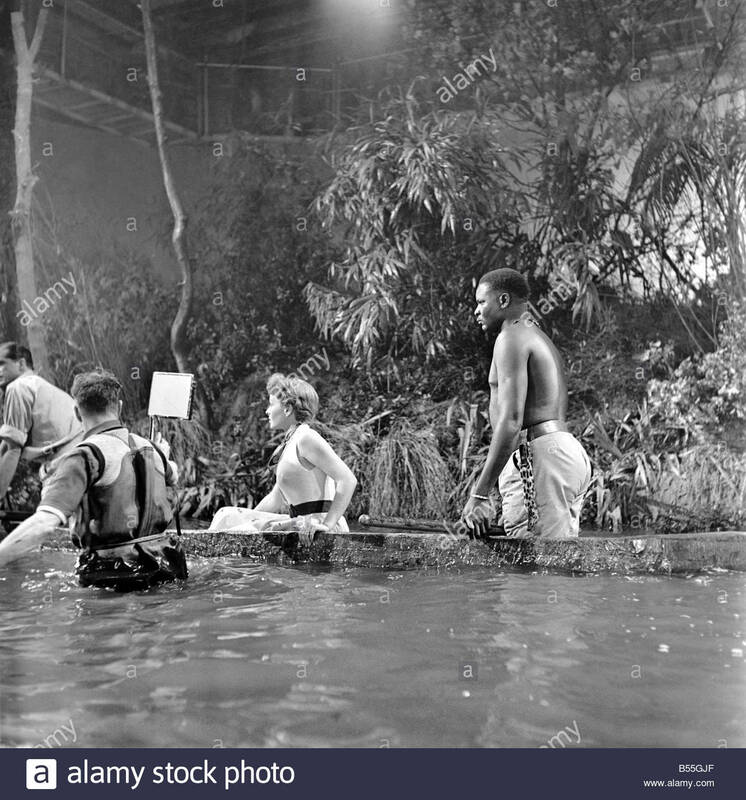 Elstree Studios: 140 feet of the Zambezi River was built under an iron roof at Elstree Studios, bordered on one side by “jungle”. The water was heated to 70 degrees, and was kept moving by two 10 foot electric paddles at the end of the 150 ft tank.